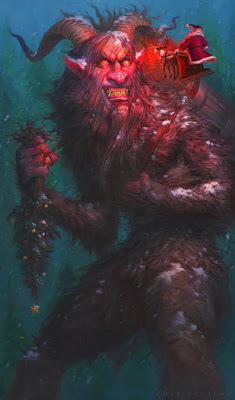 Krampus is the goat-man demon that accompanies Santa Claus in Central European folklore to punish the bad children. What? Did you think Nicholas, that saint, would get his hands dirty? While the origins of such a figure remains a mystery, experts believe it predates Christianity and has been considered as troubling in many regions. In Austria, Krampus was labeled “evil” and prohibited early in the 20th century. True he carries birch branches to whip the children and a basket to collect them and take them to the underworld for dinner so its entirely reasonable to have qualms. Nonetheless, celebrations persist from Krampus festivals to parades and bonfires where participants don horned masks and furry costumes to amuse and terrify onlookers. This culminates on December 5’s Krampusnacht, or Krampus Night, which is the night before the Feast of St. Nicholas, which brings equivalent Christmas Day celebrations with gifts and food. Many regional variations exist but the message is always the same: be good or else you’re lunch meat for demons. American awareness and celebration of Krampus is growing steadily. 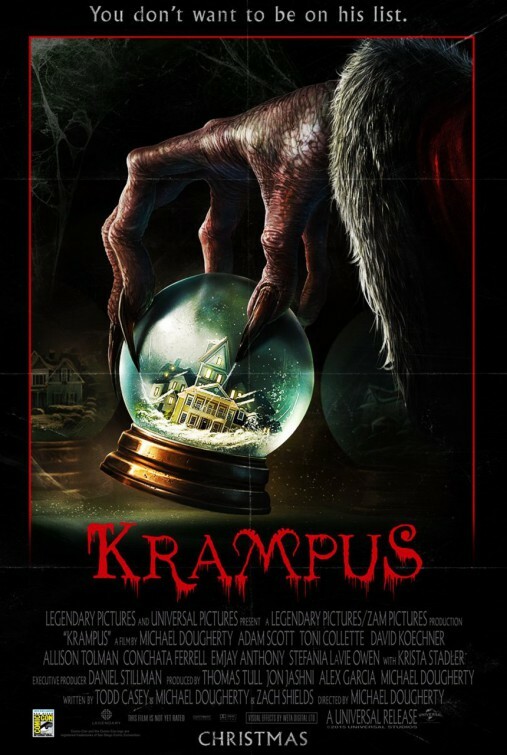 From books of vintage Krampus postcards (Krampuskarten featuring “Gruss Vom Krampus” or Greetings from Krampus), to novels, to a major motion picture (2015’s Krampus) the horned devil is taking hold. Columbia, SC, Portland, OR, Olmsted Falls, OH, Bloomington, IN, Philadelphia, PA, Rochester, NY, Los Angeles, CA, and of course New Orleans, LA all have notable Krampus celebrations. There was even a Krampus musical in Minneapolis, MN! 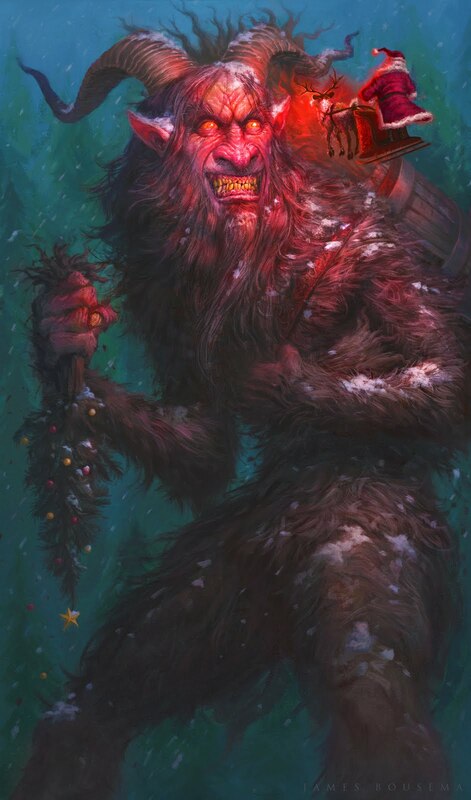 It’s clear that this yuletide demon is not for everyone, but why do so many people love it? It is counterculture rebellion at the most wonderful time of the year? Is our fascination with all things magical and fantastic beasts? Ahem, is it a refusal to let Halloween go? Maybe it’s just kind of fun to see creatures stirring in the night. 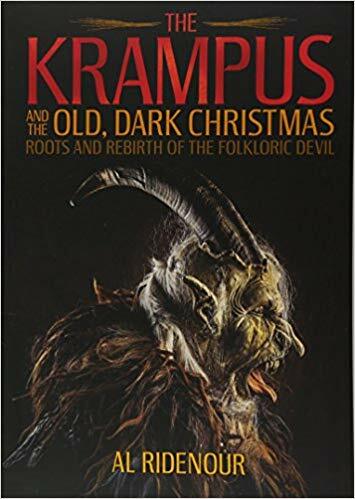 To learn more I recommend two books (both available on Amazon): The Krampus and the Old, Dark Christmas by Al Ridenour and Contemporary Krampus: A Modern Look at An Ancient Legend by Mike Drake. Have a scary (and safe with all that fire) Krampusnacht!